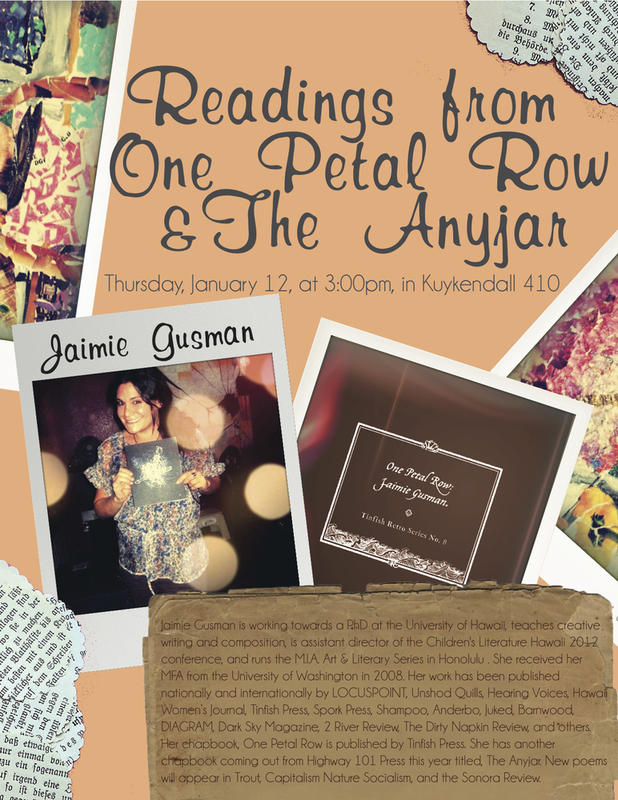 A few days ago, Jaimie Gusman from the English Department of the University of Hawaii at Manoa had asked me to design a flyer for her reading. I drew some inspiration from a couple photos she had sent me. I decided to use scrapbook elements, since it’s a personal event. I’ve transformed her photos into instant polaroids and used scalloped and wrinkled paper to add some texture. I’m pretty proud of this one.